The online world is full of noisy content from every brand. But, to create relevant content for the audience is an art. Those who master the art have better chances to gain recognition and be acclaimed worldwide. With the high production rate of content, it is getting increasingly difficult to get noticed. According to Hub-spot, a single person, on an average, consumes about 285 pieces of content, or, 54000 words, every day. In the digital environment, videos worth 400 hours are uploaded and around 347,222 tweets are sent in a minute. Hence, it is essential to hone the content creation skills to be able to be distinct, to appeal to and involve an audience which is exposed to such massive amounts of content all the time. In order to captivate the audience’s attention and transform them into buyers for the business, the content must be relevant and have answers to the issues that your audience is looking to solve. This requires skill because you not only have to create helpful, educational and easy content for your buyer but also, create high quality content in order for it to stand apart. The success of your content depends on your headline. They can either make it or break it. According to Copy blogger, about 80% of the people read the headline but, only around 20% read the entire article. When writing, it is important to have a working title in place; but be ready to edit, improve and optimize before you publish the content. While thinking of a title, make sure the final version resonates with the information of your article. Address a pain point that you can also help to solve. Use the right tone for the buyer. Publish your content on the digital platforms that your buyers use.3. The content that you are delivering must be of use to the readers. If you provide real actionable value in your content, it will enable readers to rely on you and your content as a credible and trusted source. There are multiple content creators in the industry who most likely create similar content, with similar themes as yours. If you review your competitor’s content, develop more on the topic and provide improved information, you will most likely provide more value. Don’t be apprehensive of adding further to the conversation. There are multiple ways to know the topics and key words that your audience searches for. Find these keywords and incorporate them in your titles and content to engage your readers. Also, this adds SEO value to your articles and makes them more easily searchable. Focus on one idea at a time and avoid complexity. You can provide link and references to other content which is related but, focus on the main topic. The readers are likely to lose interest if you diverge from it. The key to successful content is that it tells a story. When you consider the content structure, explore how the character, I.e. the buyer, can solve a problem (the challenge) and the content results in an optimistic ending, which would be the answer to their problem I.e. your product and/or service. You must convey and support the brand message throughout the content and also, in every piece that you write. A consistent brand style provides authority, credibility and helps your readers to recognise the content across multiple platforms. Remember, it is about helping your buyer find the best solution for them and not just a sales pitch. It is advised to keep the content brand and solution neutral for Awareness and Consideration content. Consider these steps and writing tips to create well-written, appealing and engaging content and ensure that the content that you have created delivers the right message. Your content should help the buyers, boost their trust, authority and help you stand apart from the content noise. 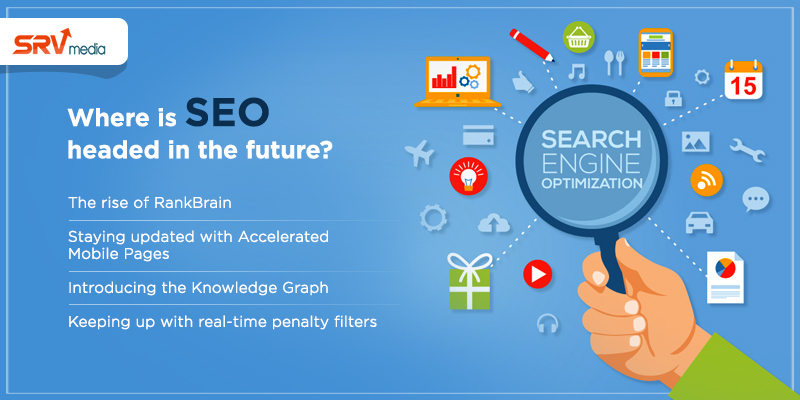 Where is SEO headed in the Future?